Think about where you grew up. Then imagine your hometown disappearing from the face of the Earth. 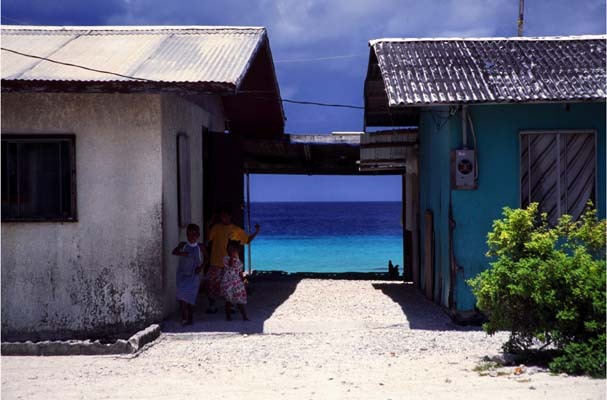 For thousands of residents of the Republic of the Marshall Islands, that prospect is becoming more likely each day. The latest Climate Assessment Report issued by the International Panel on Climate Change projects that under the worst-case scenario increased ocean warming and mass loss from glaciers and ice sheets could lead to a global sea-level rise of up to one meter by the year 2100. The elevation of Majuro, the capital and home to more than half of the Marshall Islands’ 58,000 residents, averages one meter. A meter is equal to a little longer than three feet. 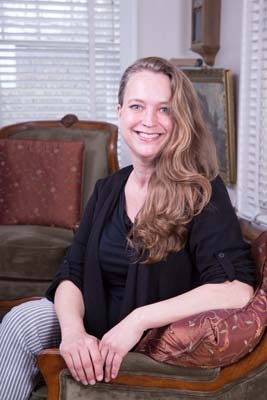 Donna Davis, a doctoral student in environmental dynamics, has studied how sea-level rise in the Marshall Islands will affect the migration of its people to the United States, specifically Northwest Arkansas. Between 4,000 and 6,000 Marshallese have traveled 6,000 miles to relocate to the region since the 1980s in search of better education, employment and health care opportunities. The Republic of the Marshall Islands is one of three Pacific Island nations that have agreements with the United States — known as Compacts of Free Association — that permit the islander citizens to migrate to the U.S. and its territories without visa and labor-certification requirements. Northwest Arkansas has the largest population of Marshallese in the continental United States. “Most of the Marshallese who have come here had a choice, but the nearly 60,000 friends and family members who remain in the Marshall Islands may not have that choice,” Davis said. “They may be forced to migrate, and we know enough about migration streams to know that because we already have this network here in our community, it will be a very attractive destination for people who will be forced to flee the rising sea. We could become one of the first host communities to refugees of sea-level rise. There will be at least about a one-third of a meter rise in the global mean sea level by 2100, according to the best-case scenario under the Climate Assessment Report. Davis notes that the residents of the Marshall Islands are already seeing effects of sea-level rise, through annual high tides known as “king tides,” and also storm surges. Global sea levels have already risen by 20 centimeters — about 7 inches — since 1900, according to the International Panel on Climate Change. For her dissertation, which she completed this spring, Davis focused on how climate change in the Marshall Islands will not only dictate the migration of the Marshallese to Northwest Arkansas, but what the effects of this growing population will have on the state. The Marshall Islands are located about halfway between Australia and Hawaii. The country is comprised of five islands and 29 coral atolls, and each of those atolls includes dozens of small islets strung together like a pearl necklace. The total land area of the Marshall Islands is 70 square miles spread over 822,000 square miles of ocean. Donna Davis graduated in May with a doctorate in environmental dynamics. A Distinguished Doctoral Fellow, she holds two degrees from the university: Master of Arts in rural sociology (1998) and Bachelor of Arts in sociology (1996). Davis has presented her research at the annual conferences of the National Social Science Association and the National Council of Science and the Environment. Her dissertation co-advisers were Frank L. Farmer, professor of rural sociology, and Steve Boss, professor of geosciences. NextQuestion: What will it take to go from 3D printers to Star Trek replicators?